Valentine’s Day is your chance to show your partner how much they matter to you, and maybe to impress them a little bit too. Pick a nice restaurant, throw on your best clothes, find a thoughtful gift and get ready for a romantic evening. But if it’s early in the relationship, you might start to feel a twinge of nervousness. Is the restaurant going to be good enough? What should you talk about? How much should you tip? And how do you work it out without making a mistake or hunching over your phone for too long trying to calculate it? You can learn to work your tip out like a pro with a few basic bits of advice. Whether you’re trying to calculate a tip for your Valentine’s Day meal or you’re just trying to master some of the math you’ll be expected to know in seventh grade, understanding the basics of percentages is crucial. In its most basic form, “percent” means “per hundred,” and it tells you a proportion of the whole, where the whole is represented by 100 percent. So just like 0.5 is half of 1, 50 percent is half of the whole 100 percent, and just like 0.25 is a quarter of 1, 25 percent is a quarter. Think about the relationship between fractions, decimal proportions and percentages to work with percentages effectively. For example, 10 percent means “10 out of 100,” so this translates to 1/10, and this fraction is equal to 0.1 (just divide 1 by 10 to find this). If you want to work out 10 percent of any number, divide the number by 10. Similarly, 25 percent means “25 out of 100,” which is 25/100 or, equivalently, 1/4, which equals 0.25 as a decimal. So divide the number you want as a percentage by the number representing the whole, then multiply by 100 to turn the decimal proportion into a percentage. 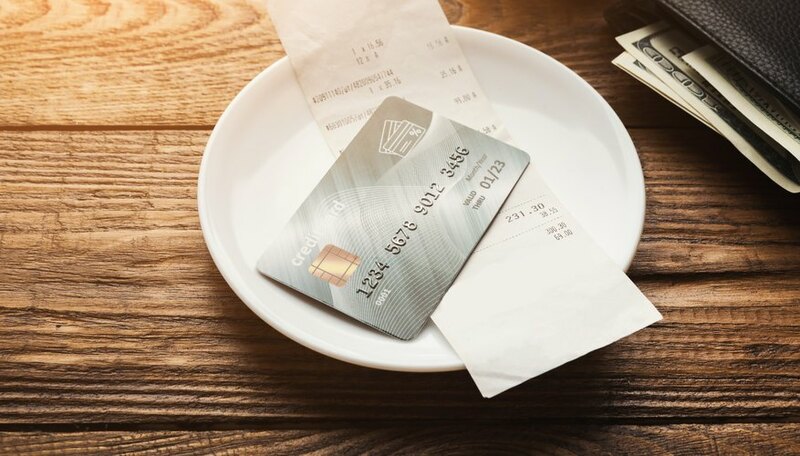 In the U.S., it’s customary to tip 15 percent or more on a restaurant bill, but it’s usually more like 20 percent. So you can use the second formula above to work out any tip between 15 and 20 percent. You should be able to see the pattern: turn the percentage you want to tip into a decimal by moving the decimal point two places over to the left, and then multiply this number by the size of the bill to get the amount you need to tip. This is really easy to do with your phone calculator. But what if you want to look smart enough to work this out without a calculator? The key to working out tips without a calculator is that 10 percent of any number is just that number divided by 10. To work out a 20 percent tip, divide the bill by 10 (move the decimal one place over to the right and round up any fractions of a cent left over), and then multiply this amount by 2 to get 20 percent. To work out a 15 percent tip, find 10 percent as before and remember this number. But you need an extra 5 percent, so divide this number by 2 to find out what 5 percent of the bill would be. Add the 5 percent number to the 10 percent number to find the right amount to tip. Just like we worked out using the simpler method. Really we just used this example because it’s harder to work out – you should probably tip 20 percent at the real meal so you don’t look cheap in front of your date! Johnson, Lee. "Impress Your Date on Valentine's by Calculating the Tip in Your Head." Sciencing, https://sciencing.com/impress-your-date-on-valentines-by-calculating-the-tip-in-your-head-13717149.html. 12 February 2019.